Well now it looks like this! I know it’s not finished but at least it looks like a house. Compare it to the concept drawing and to a picture of a completed version. What do you think? Does it look like the drawing? 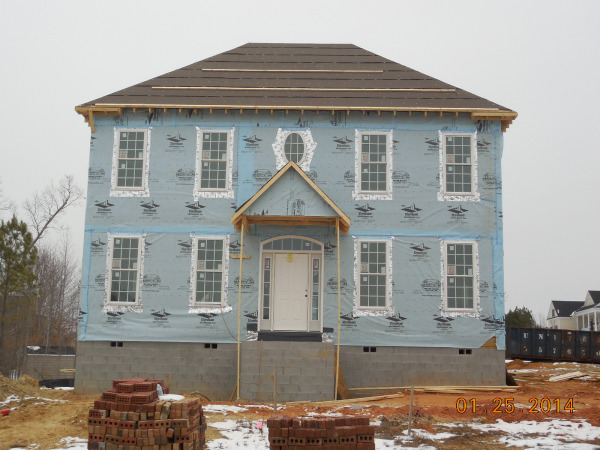 Framing is completed and the roof is on. 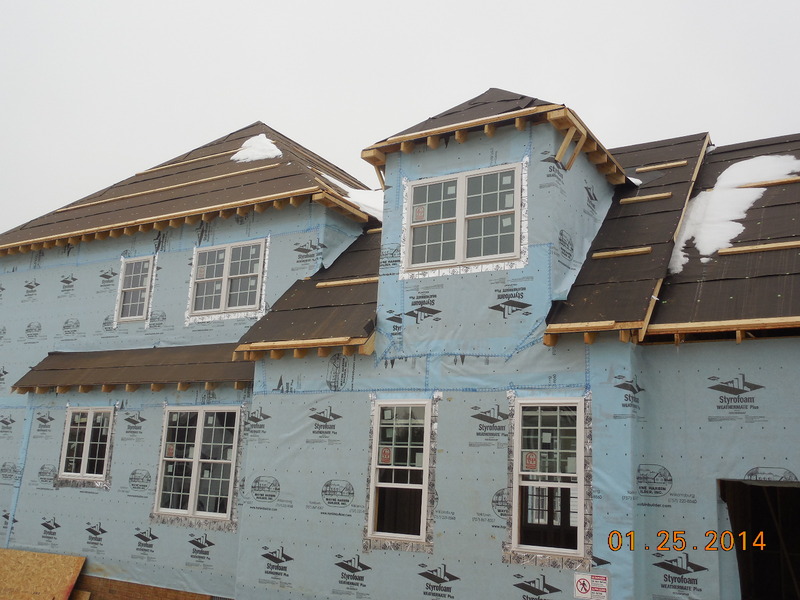 As you can see, they put a tar paper cover over the roof and it is scheduled to be shingled soon. 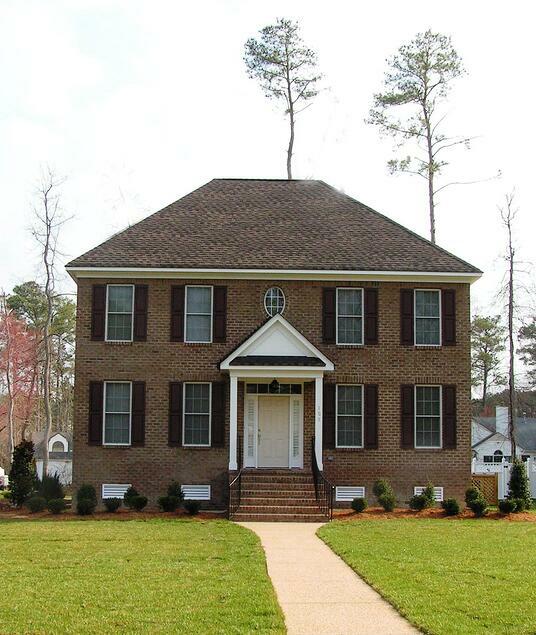 Even though the house is partially open to the elements, it is vital to get the roof covered. This prevents excess water from getting in the house and allows the work to continue even with bad weather. The snow does affect some scheduled activities, but even if it is cold, the mechanical systems can still be installed, such as the electrical and plumbing systems. Today though, let’s talk windows. 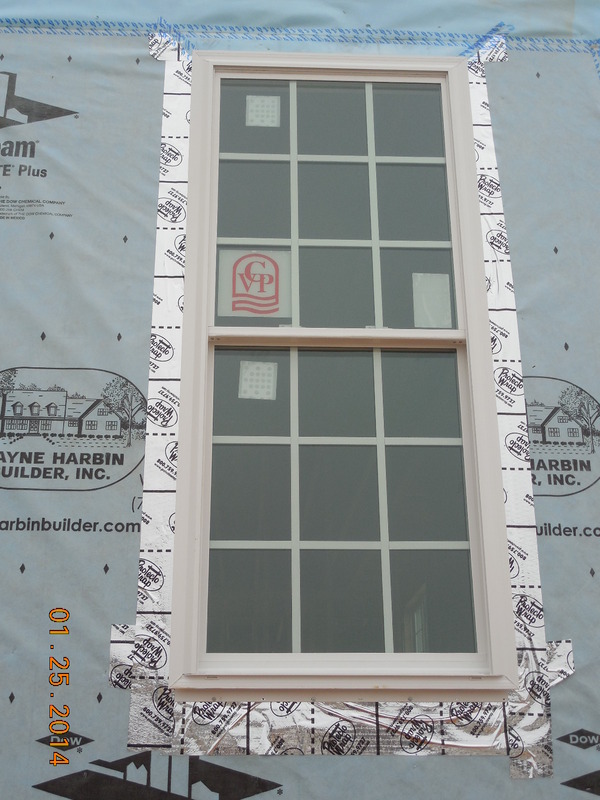 In Monticello Woods we use an all vinyl window from a company called Custom Vinyl Products. 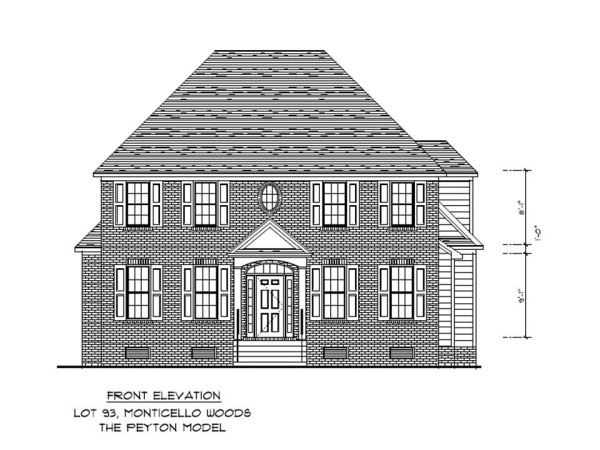 They are a local company, based in Newport News, manufacturing windows for the entire Peninsula. The builder uses them over a national company because their product is as good as any on the market, their prices are significantly lower than many national brands and it is much easier to get replacement parts. Well if the windows are so good, why do we need replacement parts? Sometimes things can get damaged in shipment or even on the job site. Would you want your house construction delayed 3 weeks waiting on a replacement part for a window? Me neither. So remember that while the national brands are good, there might be other advantages to a local product. 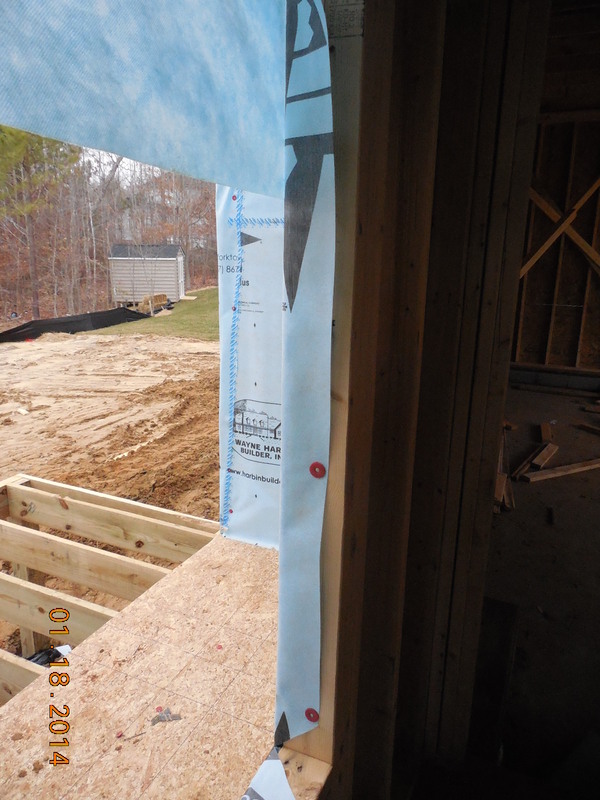 Notice on window installation that openings are built into the walls and those openings, and all the exterior walls, are covered with an acrylic wrap to prevent air penetration. The opening is wrapped around the edge and nailed into place. 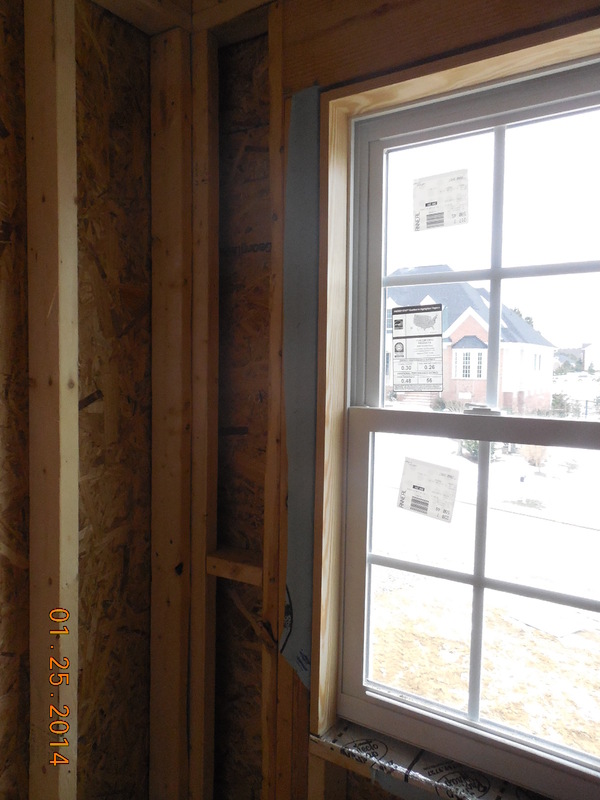 When constructed at the factory, the vinyl windows are attached to a wooden frame. 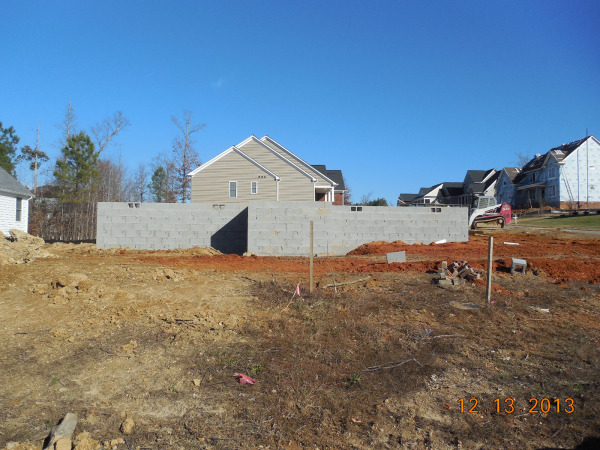 The frame is installed as one entire unit and nailed into place. 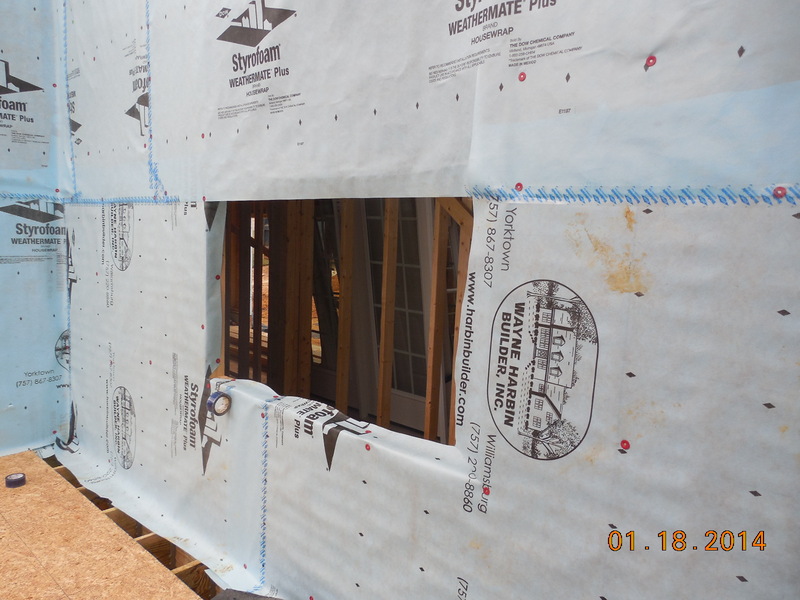 Then the outside edges are sealed with an insulated tape to prevent water and air penetration. Notice you can see the wrap and the insulated tape on both the inside and outside edges to prevent air penetration making the house much more energy efficient. 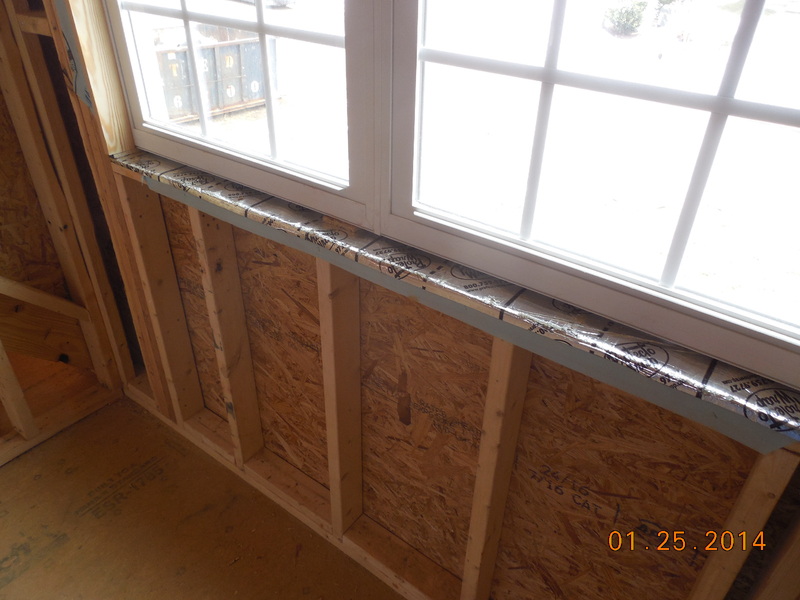 Finally for you HGTV fans out there, yes, there is an air gap between the frame and the window and that will get filled with spray foam during insulation. Inside the Construction of a Home - Part 3 is coming soon!